I felt it was about time I had a bit of ramble about some of the things I've been using day in day out over the past few weeks since it's been a while since I last did one of these posts. First up we have my Personalised Make Up Bag from Tillyanna that I used when I went away last month on holiday (it's large enough to hold loads of make up / toiletries for all you ladies out there who don't travel light on holiday!). Because it's so pretty to look at, I wanted to find it a new use when I got back home so now it has pride of place in my dressing room and I've filled it with all my hair products! Narciso Rodriguez Rose Musc Intense Perfume - I bought this at Heathrow on the way to Dubai earlier on this year, wore it constantly in Dubai and then completely forgot about it when I got back! I'm not sure why because I adore it, to the point that I want to bathe in it sometimes! Now it will not be to everyone's taste, it's fairly heady affair - a mixture of musk, Moroccan rose absolute (whatever that is?! ), black pepper, patchouli, labdanum and Oud (a smell I find highly addictive!) but the combination of all these notes creates such a rich, gorgeous scent that lasts very well on the skin. I've been wearing it a lot lately. Get it HERE. Omorovicza Glam Glow - I bought a tube of this a couple of years ago and loved it and then for some ridiculous reason, I didn't ever repurchase! Well, now my holiday tan is fading and I rather liked being a bronzed (ahem!) Goddess so I've now turned to tanning in a bottle since Summer in the UK has been somewhat of a let down, to say the least! Finlay & Co Thurloe Sunglasses - I recently did a collaboration with another fellow Welsh Blogger, Lorna from Stylust (go and check her out and her fab label The Mac) and fell in love with these sunglasses! They are the Thurloe and have also recently been spotted on the likes of Rihanna, Cara Delevigne and Gigi Hadid. I never thought I'd really like sunglasses that featured wood, but I love these so much and they're a great shape. Get them HERE. Perricone MD OVM Cream - Now I'm not going to go into a lot of detail with this one, because I'm actually planning on doing a separate blog post on it this week (it's that good! ), but let's just say for now that I have seen such a different in my skin since I've started using it and it may well be an addiction!! I was sent this recently to review but I just had to give you all a little sneak peak and mention it now! You pop it on in the morning after cleansing your face and prior to putting on any moisturiser. If you fancy reading a bit more about it I've linked it HERE. Charlotte Tilbury Magic Eye Rescue Cream - I had a couple of samples of this prior to purchasing the full-size version and it's an eye cream that I can hand on heart say really makes a difference to my under-eye area. I'm not a great sleeper (I stay up way too late at night and then crawl out of bed every morning!) but this eye cream is rich and really makes a difference, smoothing fine lines and helping with pesky dark circles. It's £40 a pot but this is going to last you a long time because you only need the smallest amount and there is tonnes in there! I use it both in the night and in the morning and find it a good base prior to applying any under-eye make up. Get it HERE. 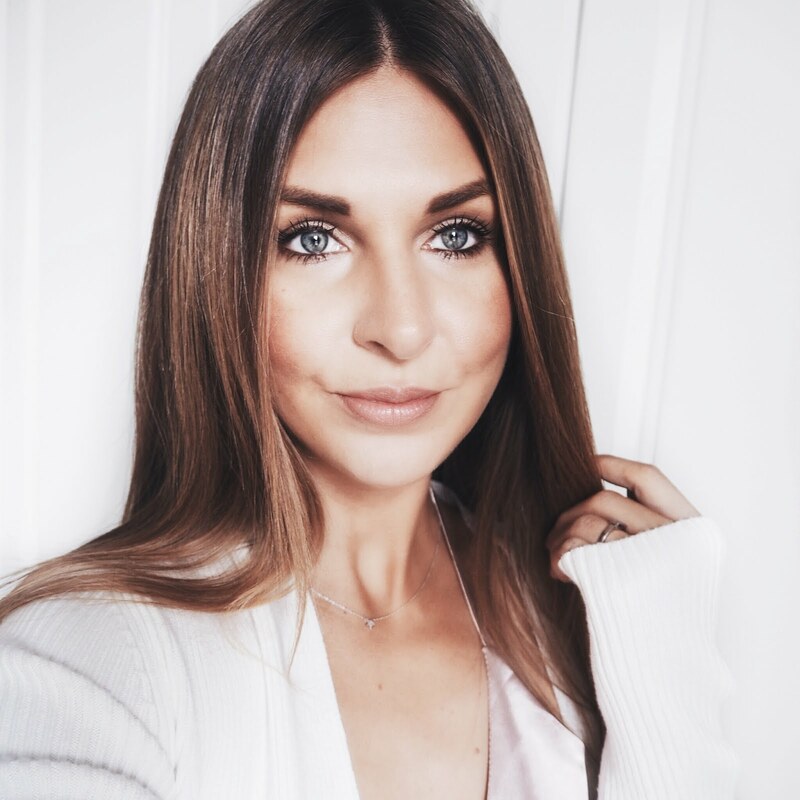 Lilibeth Brow Shaper - I was sent this a few weeks ago from Instant Beauty Fix to try and since then it's become an absolute staple in my every day beauty regime. I first used it for it's main purpose, to tidy up and reshape my brow area, so much quicker and easier than plucking, I no longer have to be lazy with my brows! 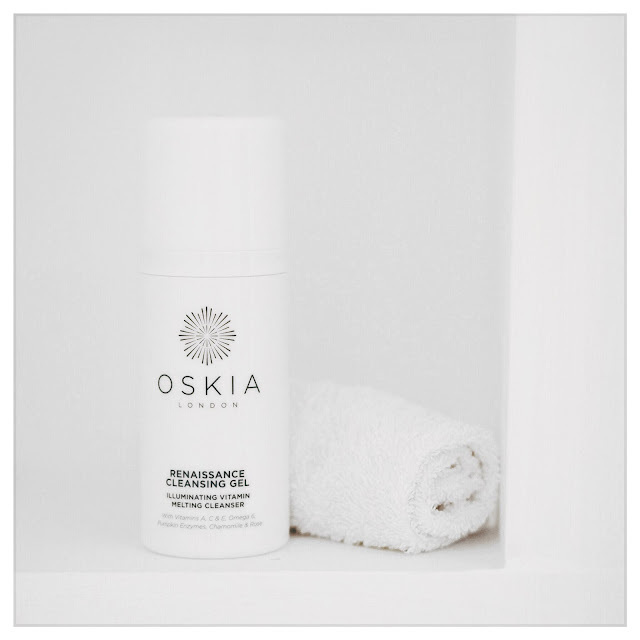 Oskia Renaissance Cleansing Gel - Why why why why why have I taken so long to purchase a bottle of this?! I'm not even sure to be honest, I almost feel ashamed to admit it! The amount of beauty bloggers I've heard rave about this over the past couple of years and yet I still have only just got around to buying some! I mentioned on Instagram recently that I've really seen a difference in my skin texture since I started using it to take my make up off every night and I wasn't lying. I really have. My skin is definitely brighter and more refined. The gel itself smells gorgeous, melts into the skin and removes make up like a dream. I then use a damp flannel to rinse mine off. Get yours HERE.